NOTE: There was a bug in version 1.09 that kept the game from starting This is fixed in version 1.10. 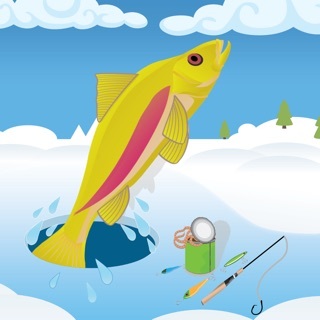 The free version of Ice Fishing Derby: It's a five day fishing derby with a twist. The forecast for the first day is pretty nice, but it's going to get much, much colder as the days go by. Start each day at the bait shop to get the tackle you need. 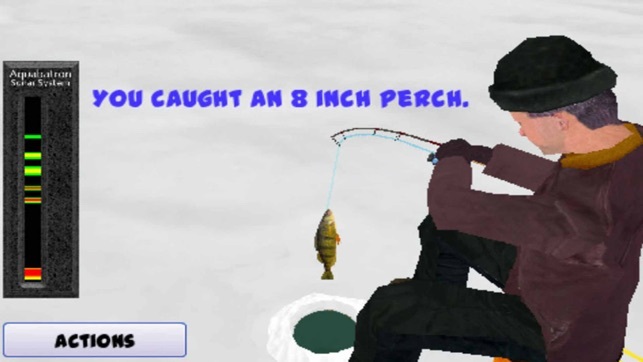 Catch bluegills, crappie, perch, walleyes and northern pike. 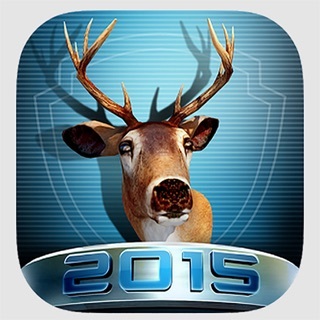 At the end of each day you'll collect cash at the weigh-in for the fish you've caught. 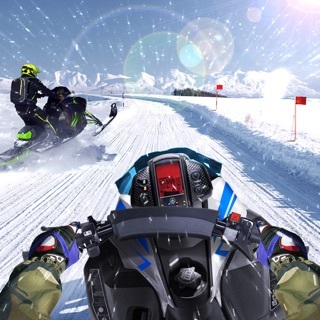 Be sure to earn enough to pay for a portable shelter and heater or you're not likely to survive. Start with some basic gear and catch some panfish, then work your way up to catching the bigger fish. 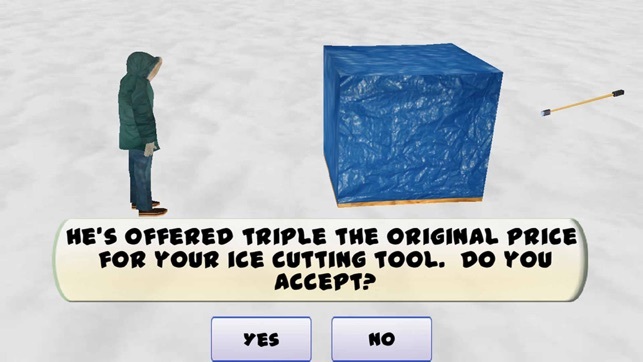 Once you have the necessities you might get yourself a sonar flasher or even an underwater camera system so you can see what's happening under the ice. Your goal is simple: Survive the tournament, and earn as much money as possible. Other fishermen may offer you some interesting trades out on the lake, but be careful what deals you accept! 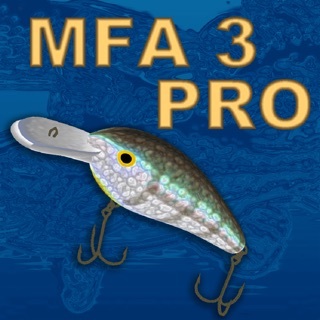 The game is free but in-app purchases unlock a few items in the bait shop and give you the option of starting each tournament with more money. Note: Some people have had problems running the previous version of the game due to a bug in iOS 8.0. Either updating your device to iOS 8.1 or updating the game to 1.06 should fix it. If you have any trouble with the game, please email us at support@pishtech.com and we'll be happy to help. I really wish there was a second version of this game to come out! 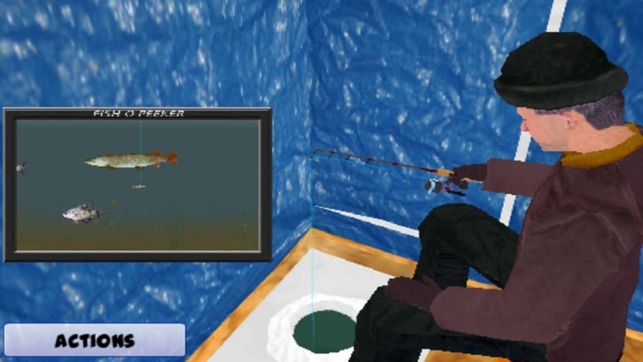 I absolutely love everything about this game I play it over and over again... if the creator reads this please add on to the game or make another better one with more stuff like being able to pick your spot on the lake and being able to fish more instead of dinking around with heaters and stuff! Add a tournament mode to play others high scores... different perks! I love it!!! You are what is great today... I love where your mind was when making this game you think like me! Gaming time is appropriate. The idea of a 5-days fishing span really made the events stand out. Sometimes I get an underwater camera for trading my bluegills or a pike for my cocoa, lol~ Interesting picks of fish species, could add bass, sturgeon, and burbot. But of course, to get a sturgeon, you need tougher lines and bigger augers. $1 to unlock the shop is affordable and fair to keep the dev team going. This app is amazing!! 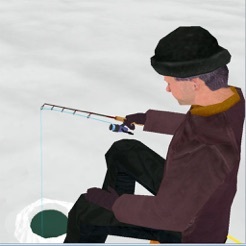 I just want there to be a update where there is a ice fishing tournament mode. I recommended this to everyone and I hope the app gets the new update that I'm just dieing to get!!! !